North Korea is busy preparing for its winter civil joint exercises that start annually in December. 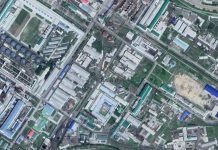 Preparations include the holding of emergency meetings for the country’s civil defense forces, Daily NK sources report. 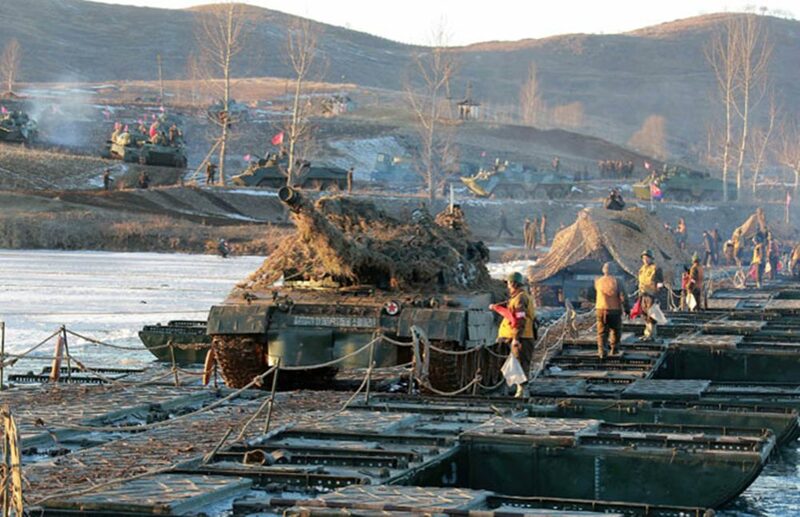 “Armed civilian units are busy preparing for the winter exercises all over the country,” a source based in North Hamgyong Province told Daily NK on November 30. North Korea’s winter exercises are similar to South Korea’s military exercises that are designed to test the soldiers’ mettle in difficult, frigid conditions. 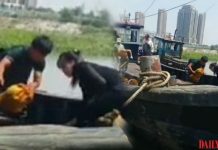 North Korea has paramilitary units and Worker-Peasant Red Guards (paramilitary force with older members and North Korea’s largest civil defense force) included in the training along with regular military units. Civilians conduct blackout and evacuation exercises. This year’s exercises will have the paramilitary training units training for the month of December, while red guard units will conduct them over two weeks. Officers who lead the paramilitary training units, which are affiliated with unit members’ workplaces, are collecting resources from workers for use during the exercises. In reality, however, each unit member is deemed responsible for sourcing their own food for the period. North Korea has had a particularly difficult food situation this year. With a view to lifting the spirits of unit members, however, the authorities have handed down an order for white rice to be provided on December 27, when each unit conducts live-fire exercises (the day also commemorates the founding of the country’s constitution). Units are currently collecting rice for the event. “The farms have harvested their crops and the units have prepared corn rice for the training period. 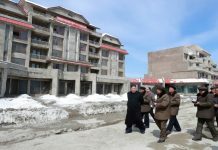 This means that individual members don’t have to collect their own food for that day,” a source in South Hamgyong Province said.